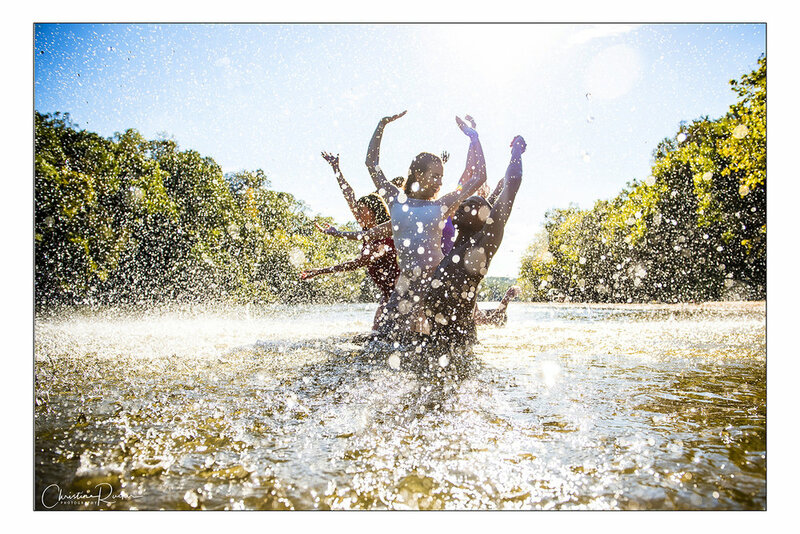 A behind the scenes video about the making of Dance for the River, narrated by the Yadkin Riverkeeper and the dancers involved in the project. 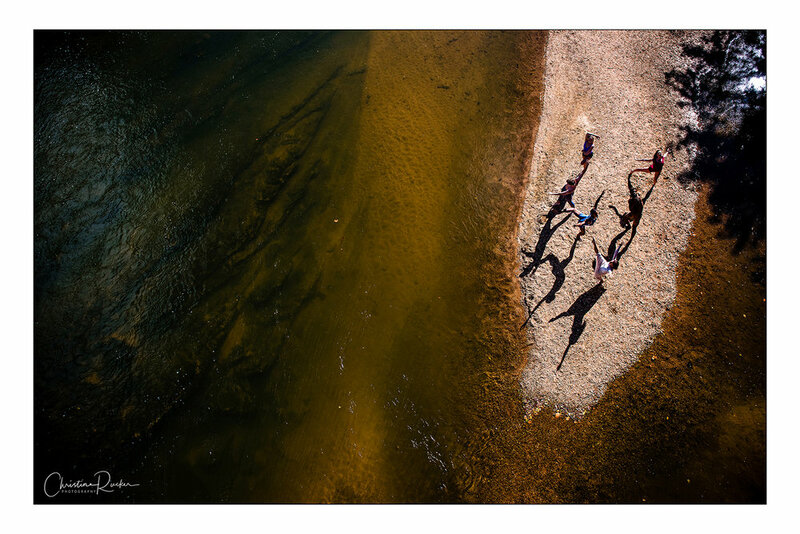 Dance for the River is a traveling multimedia exhibit that connects audiences with the Yadkin River, through dance, photography, video and storytelling. creating a unique message about clean water through art. 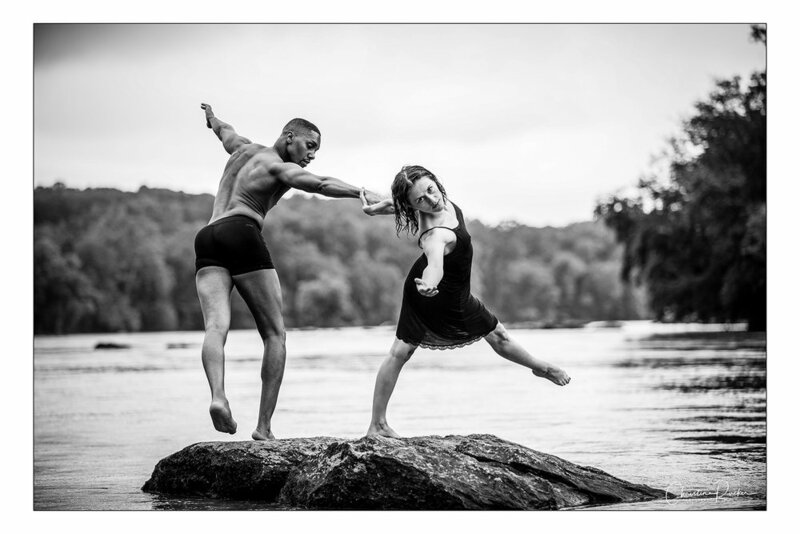 It is a collaborative effort between Christine Rucker Photography, the Yadkin Riverkeeper and UNCSA Dance, Wake Forest Humanities Institute and Phoebe Zerwick. It was initiated and funded by the Yadkin Arts Council in NC, John Willingham, WFU Humanties, the Yadkin Riverkeeper, Wells Fargo and private donors. 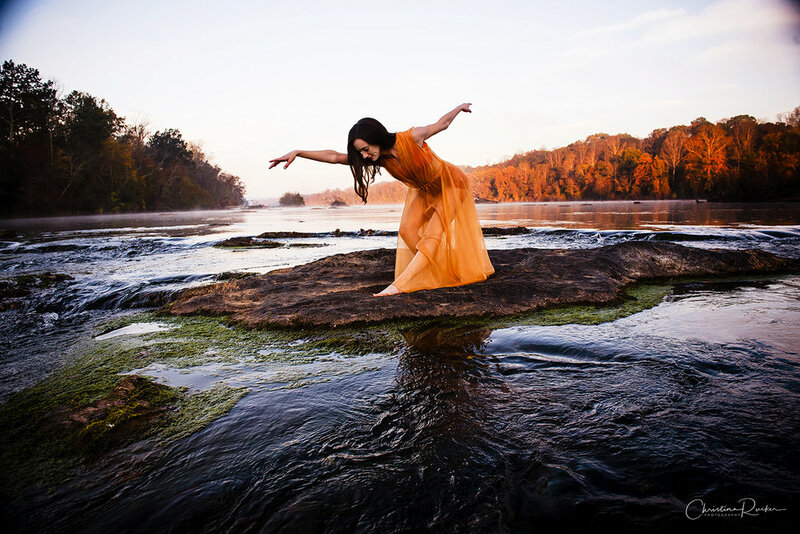 Natalie Kirk, a UNCSA dance student bows to the river in the Shoals area of East Bend. Alcoa smelted aluminum here for 90 years, with electricity generated by the Yadkin flowing over Narrows Dam. The smelter closed in 2002, but much of the cyanide, fluoride, PCB’s and other toxins it discharged remain, a threat to the watershed. Now under new ownership, the dam still produces electricity. 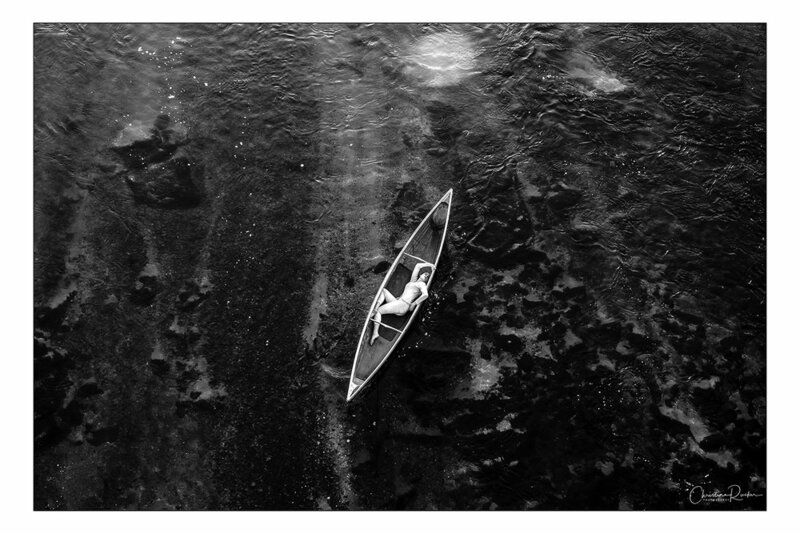 Ashley Ramsey creates movement in the shallow area of the east bend of the river in Yadkin County. A UNCSA dancer on point in a rocky section of the Yadkin River in Wilkes County. Two dancers create contradicting backdrop to trash washed on the banks of the Yadkin River near the headwaters in Wilkes county. A pop up rain shower creates a different experience for dancers along the Yadkin in Wilkes County. The river is more narrow and green near the headwaters in the foothills of NC. The Yadkin River begins in a spring under a parking lot in Blowing Rock, NC. Dancers explore the tunnel where the Yadkin flows from. 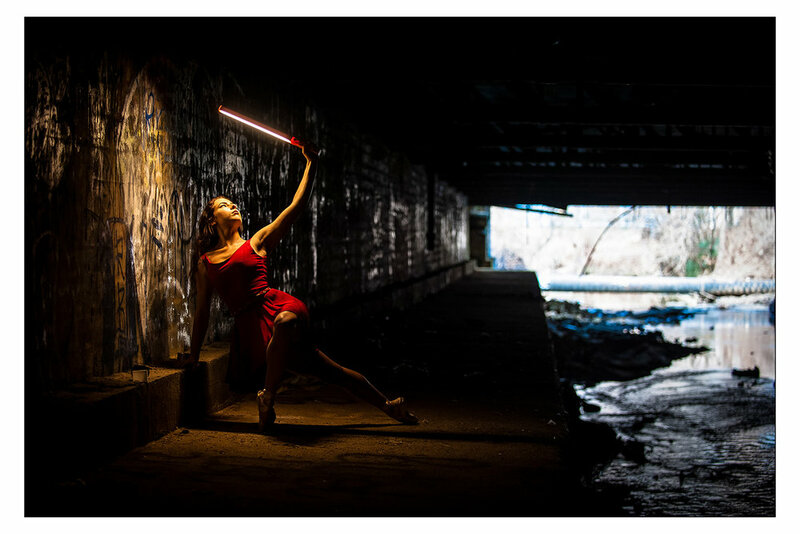 A UNCSA dancer creates landscape with light and motion under a bridge along Peters Creek, an urban creek that is part of the Yadkin River watershed. A UNCSA dancer blends into the wall of grafitti under a tunnel along Peters creek, an urban creek that is part of the Yadkin River watershed. Peters Creek and the watershed’s other urban streams serve as massive ditches for storm water and the pollution and trash it carries, which threaten water quality downstream.